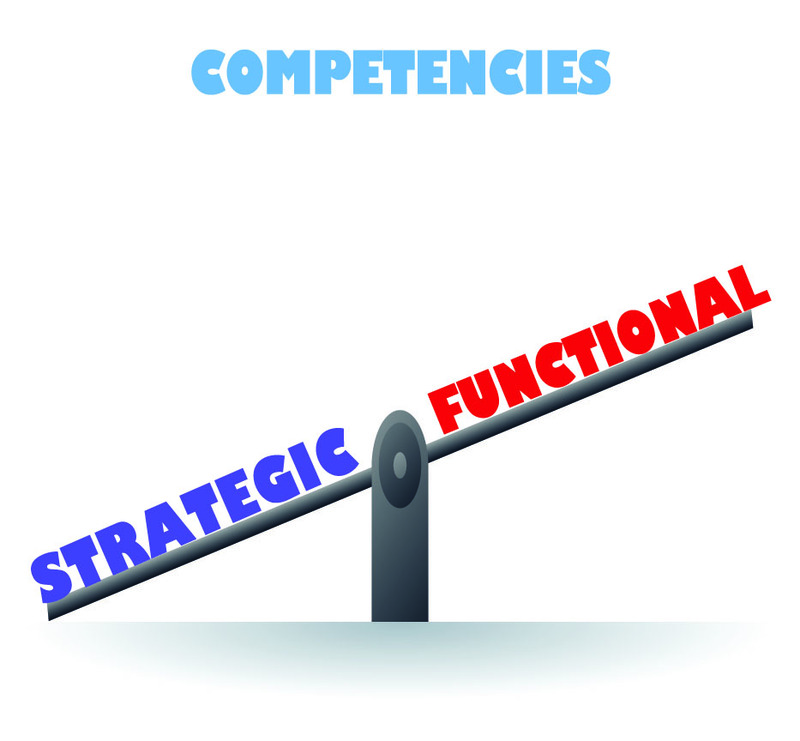 You are at:Home»Blog-News U can Use»Do You Know the Difference between Strategic Sourcing and Category Management – Tyranny of the Tangibles! I assume you read the title and were intrigued enough to read on . . . . . . As you know we have had a quite a bit of interest (that’s an understatement !) 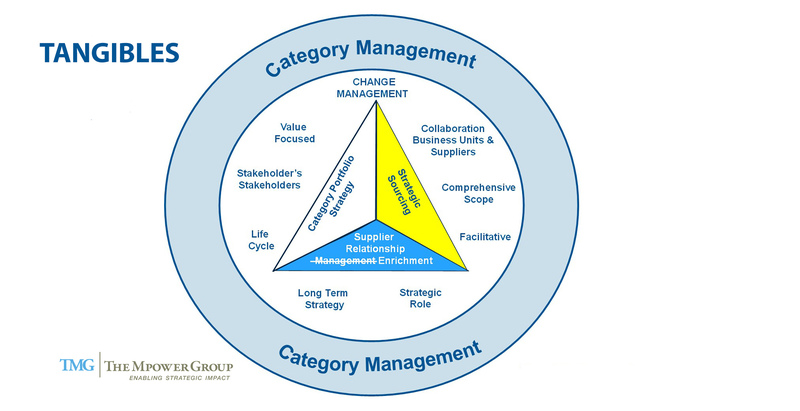 in this series on “Do You Know the Difference between Strategic Sourcing & Category Management?” AND we have also been conducting a series of webinars. The webinar we ran last week focused on Metrics; an area where, as a discipline, we are WAAAY behind. I’m certain I only need to give you one guess on the primary metric Sourcing organizations use to measure their success – YEP it’s cost savings. Even organizations that believe they are already doing Category Management use this metric. Why??? It’s measurable and tangible – which is where “Tyranny of the Tangibles” fits in . . . . I did not invent this term, rather I picked it up from a completely unrelated article that I read in Harvard Business Review. The article notes that when leaders (executives) chart a path to become more strategic, they overwhelmingly move to making changes in organizational structures, governance and processes. Why? “These actions are easier to demonstrate and measure and that is often what executives’ performance is measured on.” Yet, if real change (like moving from Strategic Sourcing to Category Management) comes from non-quantifiable activities like collaboration, teaming and building relationships, our current metrics may be driving the wrong behavior. We often hear “you get what you measure” and clearly metrics drive decisions and behaviors in every organization. In making the transformation from Strategic Sourcing to Category Management, it is critical that we acknowledge the very important role that metrics play. The change in metrics is critical in changing the way Procurement/Supply Chain operates AND they are even more critical in how we operate with our stakeholders and how our stakeholders operate with us. The transition to a Value Creating (Category Management) organization can only happen with a change in metrics. What you will hopefully recognize is the disconnect between the Top 10 Goals of an organization and the metrics that they put in place to measure their success. At a minimum, your metrics MUST be tied DIRECTLY to your Top Goals & Objectives – that is a good test to see if you are measuring the right things. In addition, since your success is dependent on the success of the Business Units you serve, you must align your metrics with theirs. There are many, many instances when cost savings is simply NOT a priority for a category of spend. Let me provide you with an example. How many Chief Marketing Officers have been fired for exceeding her/his “print” budget? The answer is probably “none”. Her/his job may be at risk, though if their Advertising Agency was chosen because they were the “low cost” provider BUT are not increasing brand awareness, providing access to leading technology or providing other services that are critical to grow the business. When you walk in to declare that you have saved 10% on “print” they are not interested in what you have to say because the Advertising Agency selected is destroying Value for them. Metrics DO matter. Sometimes “Value” is not Tangible and maybe not even quantifiable (that does not mean you can’t “measure” it) but it is REAL to your “customer” (your Business Unit partners) and they get to define it. 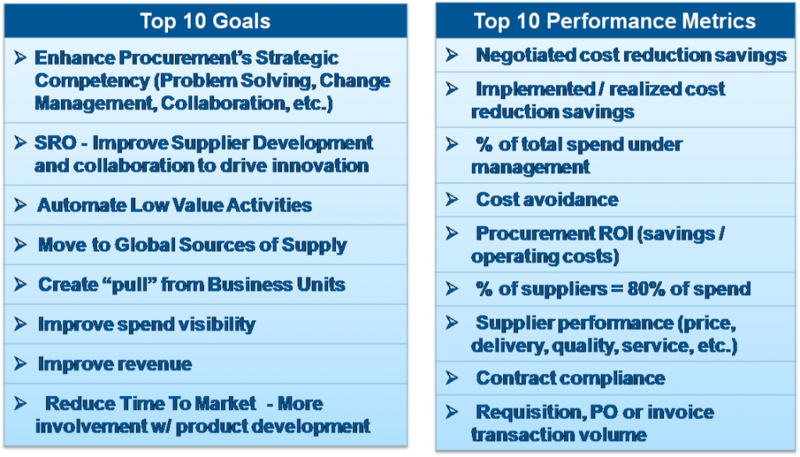 As you are looking to make the journey from Strategic Sourcing to Category Management you MUST redefine your metrics. They must be aligned with your Top goals and objectives and those of your Business Units. Don’t get caught in the “Tyranny of the Tangibles” and start to create metrics that drive more strategic decisions and behaviors and allow you to move to Category Management. Let us know what you think and join in the conversation . . . . . . . .